Softly sophisticated, the Taryn pull gives your room classic style. The design is ideal for furniture, but also looks great on cabinetry. The beaded detailing offers a subtle feminine touch. Make a bold statement with the 3inch Global Retro pull from Liberty Hardware. Inspired by the clean geometry of midcentury modern design, this pull features vintage style in a contemporary interpretation. Ideal for both kitchen cabinetry or furniture use. 3 in. Deco Edge Spoon Foot Pull The Liberty 3 in. 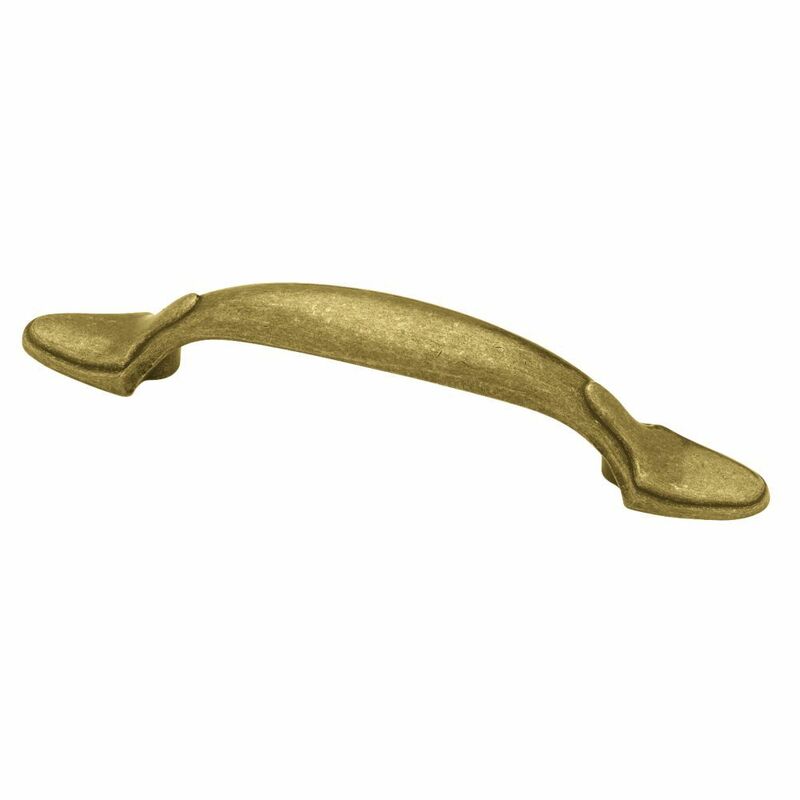 Antique English Decorative Edge Spoon Foot Pull is a beautiful combination of traditional and modern styles. It features a 3 in. center-to-center, rear-mount design for easy installation. The metal base material is built for longevity. 3 in. Deco Edge Spoon Foot Pull is rated 4.6 out of 5 by 8. Rated 5 out of 5 by Art428 from We found 6 of these in stock but we needed... We found 6 of these in stock but we needed 25. Had to order in store and they were delivered three days later. They fit great and look perfect for our cabinets and match, colorwise, with the hinges. Rated 5 out of 5 by Joe from An easy way to upgrade our kitchen cabinets! Found the Antique English Decorative Edge Spoon Foot Cabinet Pulls on line. Ordering the pulls from Home Depot was problem free as was the shipping. No need to drive to the store. These pulls were a great enhancement to our kitchen make over project. Rated 5 out of 5 by elena from My cabinet harduware pulls are good Decortive edge spoon foot cabinet hardware pulls are very good on the cabinets and very comfortable for use. Rated 5 out of 5 by cdbaker25 from A classic new look We recently replaced the hardware on our kitchen and bathroom cabinets. It was a very inexpensive way to update the kitchen.It's like having all new cabinets! We love the new look. The store did not have enough for our project, so we went online and ordered from HomeDepot.com. The hardware shipped promptly and we were able to complete the project in no time. Rated 5 out of 5 by Jason from Just what we were looking for Items are functioning as designed. Just attached the handles with the screws provided in the package, and was done.